Dr. Nan Zhang joined the International Iberian Nanotechnology Laboratory (INL) in 2017. Currently, he is a Research Fellow in the Nanomaterials for Energy group, Department of Quantum Materials, Science and Technology (QMST). 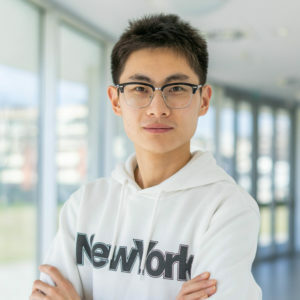 His current research interest is mainly focused on the synthesis of nano energy materials, as well as their applications in flexible all-solid-state batteries and supercapacitors. He earned his B.S. degree from the Ocean University of China (2011), and then he obtained his PhD in the Institute of Physics, Chinese Academy of Sciences (2016) under the supervision of Prof. Weiya Zhou and Prof. Sishen Xie. His PhD project is “Studies on Carbon Nanotube Composite Electrodes and Flexible Supercapacitor”. Besides, he also participated in the projects of the massive synthesis of Carbon nanotube film and the fabrication of flexible sensors and actuators. N. Zhang, P. Luan, W. Zhou, Q. Zhang, L. Cai, X. Zhang, W. Zhou, Q. Fan, F. Yang, D. Zhao, Y. Wang, S. Xie. Highly stretchable pseudocapacitors based on buckled reticulate hybrid electrodes. Nano Res. 2014, 7, 1680. N. Zhang, W. Zhou, Q. Zhang, P. Luan, L. Cai, F. Yang, X. Zhang, Q. Fan, W. Zhou, Z. Xiao, X. Gu, H. Chen, K. Li, S. Xiao, Y. Wang, H. Liu, S. Xie. Biaxially stretchable supercapacitors based on the buckled hybrid fiber electrode array. P. Luan, N. Zhang W. Zhou, Z. Niu, Q. Zhang, L. Cai, X. Zhang, F. Yang, Q. Fan, W. Zhou, Z. Xiao, X. Gu, H. Chen, K. Li, S. Xiao, Y. Wang, H. Liu, S. Xie. Adv. Funct. Mater. 2016, 26, 8178. N. Zhang, Y. Zhu, W. Zhou, H. Liu, S. Xie, et al. Highly area-stretchable supercapacitor, in preparation.